The London-based festival, Field Day has announced the second wave of artists that will be joining its already stellar 2019 line-up. 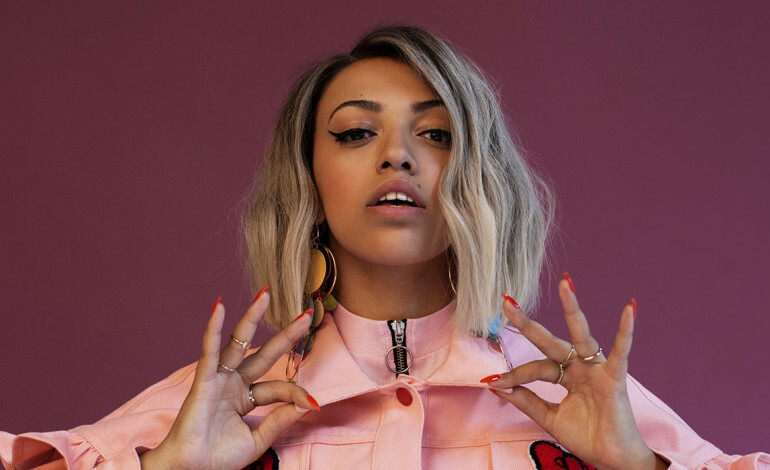 Among the names revealed are some of today’s most biggest and current names, including rising neo-soul star Mahalia, London-based MC Flohio, and experimental rap collective, Death Grips. The two-day festival will take place, at Meridian Water, in North London, between the 7th and 8th of June 2019. Tickets are available now and can be purchased here. The festival will see 2019’s edition moving venue to a “ground breaking” new location, Meridian Water, in North London. The new site is made up of a ten-acre outdoor space with four interlinked warehouses, the largest of which will be the biggest warehouse venue for music in the city, which has a capacity of 7,500. The new location, not only comes with a large capacity, it will allow Field Day to become the latest-running festival in London, with a 3am license. Among the other names recently confirmed to appear at the two-day festival, and joining Mahalia, Flohio, and Death Grips, include Kojey Radical, Alfie Templeman, Homeshake and Femi Kuti. The announcement comes after additional names were added to the festival’s late-running DJ programme, which included John Talabot and Nocturnal Sunshine, who will be joining Modeselektor and George FitzGerald — both of whom had already been confirmed for live sets. The additional names will join an already stellar line-up, which includes headliners Skepta and Jorja Smith. Among the other first names announced is Actress, Bonobo, Diplo, Earl Sweatshirt, Pusha-T, Sinkane, Diplo, Jungle, Octavian, and The Black Madonna. The following acts are on the bill for Friday the 7th, and will be kick starting this year’s stellar edition, is headliner Skepta, Actress, Bonobo DJ Set, Boy Azooga, Charlotte Adigéry, Death Grips, Deerhunter, Earl Sweatshirt, Femi Kuti, George FitzGerald, HÆLOS, Homeshake, Jessica Winter, Julia Holter, Jungle, Kelly Lee Owens, Kojey Radical, Leon Vynehall, Lost Souls of Saturn (live), Mahalia, Methyl Ethel, Modeselektor, and Pip Blom. Cncluding the show, on Friday, and featuring on the late night show are George FitzGerald, Leon Vynehall, Modeselektor, and Nocturnal Sunshine. Meanwhile, the acts on the bill, for Saturday the 8th, and following on from the stellar Friday line-up is headliner Jorja Smith, Diplo, Alfie Templeman, The Black Madonna, Celeste, Courtesy, Denis Sulta, DJ Seinfeld, Eclair Fifi, Erol Alkan, Fall Forward, Flohio, Grainger, HAAi, John Talabot, Jvck James, JPEGMAFIA, Mall Grab, Marie Davidson (live), The Mauskovic Dance Band, Mella Dee, MorMor, Octavian, Pusha-T, Rachel Chinouriri, Red Axes DJ Set, Roosevelt, Seth Troxler, Sinkane, Skee Mask, Todd Terje DJ Set. While, rounding off the show, on Saturday, and featuring on the late night performances are Denis Sulta, HAAi, Mella Dee, and Tiga.